Do you wish to learn about unrestricted access and unrestricted re-use of research publications, data, software, etc? 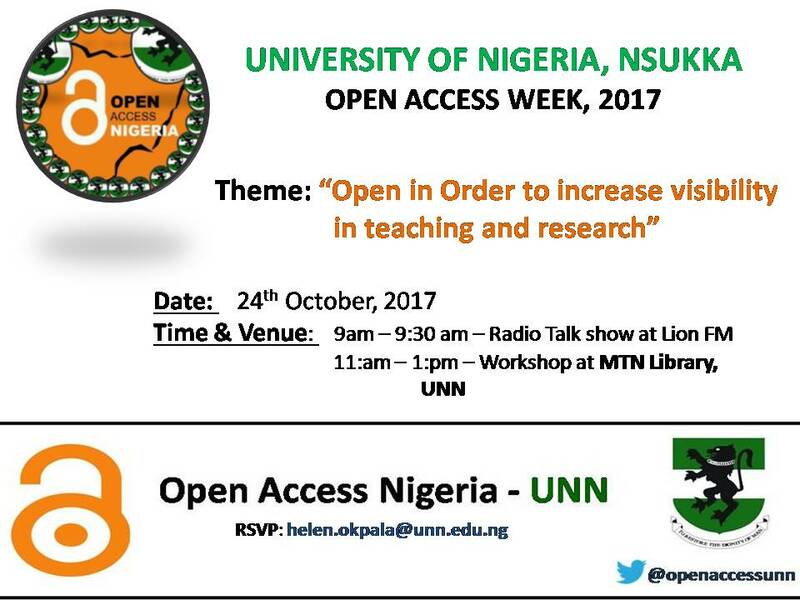 University of Nigeria Open Access Group holds her 2017 Open Access Week on 24th October, 2017. All Scholars, researchers and Postgraduate Students are invited to participate.